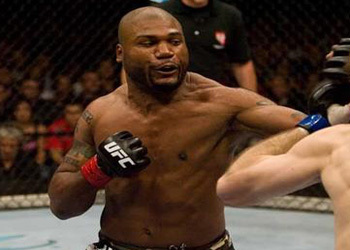 After losing his title to Forrest Griffin at UFC 86, Quinton “Rampage” Jackson has been on a mission. He is out to prove to everyone that he is once again deserving of wearing the UFC light heavyweight title, however knows that he needs to impressively discard all opponents on his way back to the top. Rampage looked exceptionally motivated against Wanderlei Silva in his first bout back since losing the title. He knocked out his former PrideFC foe in the 1stRound of their matchup at UFC 92. Now it is on to the next step in his journey back to the title, where he will be facing Keith Jardine at UFC 96 this Saturday at the Nationwide Arena in Columbus, Ohio. Jardine may be one of the toughest bouts for Rampage as he is all-but guaranteed first crack at Rashad Evans’ title with a win. Although he knows what might lie ahead, he isn’t looking past Jardine for one second.